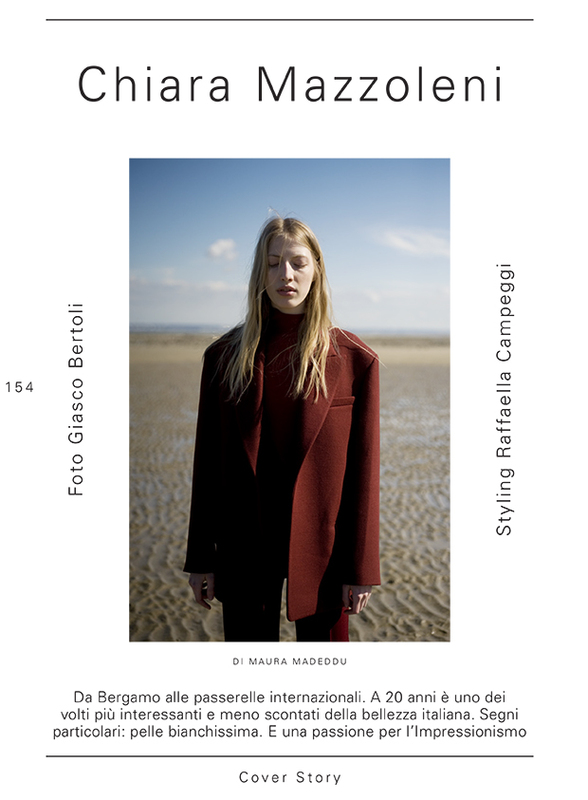 Giasco Bertoli, italian photographer based in Paris shot the cover and several pages of Raffaella Campeggi’s first contribution to the fashion direction of L’OFFICIEL ITALIA. The style was casual and simple, streetwear with a modern statement, branche. Italian girl Chiara Mazzoleni starred as the cover girl with a minimal look and a Celine outfit. The magazine style is now fresh and minimal , artistic yet feminine. Photography is a major concern for L’OFFICIEL ITALIA, and they will come up with more surprises.